For the ultimate outdoor entertaining experience, this gorgeous 12 ’x 12’ BASTA SOLE® Cabana from Tropitone is a distinctive outdoor piece! 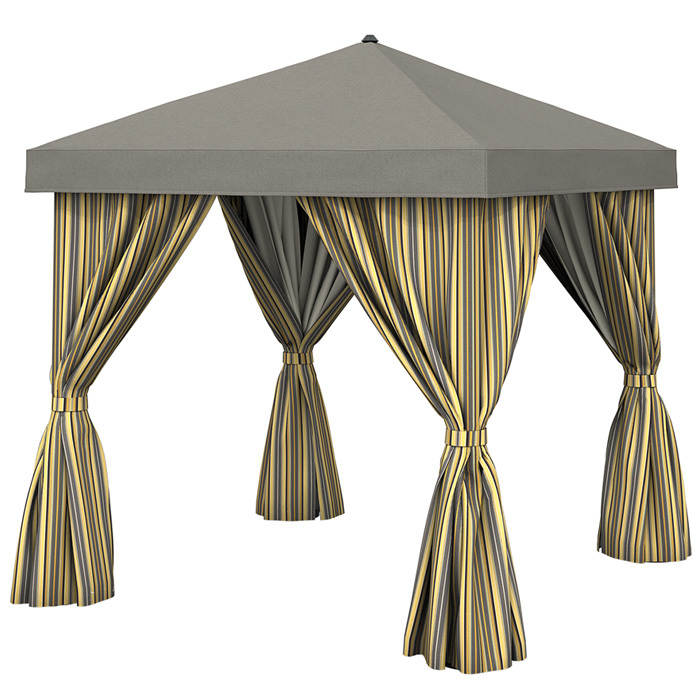 Inspired by the rich history of desert field tents and medieval royalty, this square cabana is made of weather-resistant aluminum and comes with fabric curtains. Curtains are crafted from colorful designer fabrics that are treated for the outdoor elements.